As an arm of Student Affairs, the office of Activities, Involvement and Leadership (AIL) is designed to create a variety of co-curricular student activities and events that will provide students entertainment, personal and professional growth, and exchange of ideas beyond their books and projects. We firmly believe that these “extra” opportunities create well-rounded and engaged students, exposed to thoughts, ideas and experiences simply not found in classrooms. AIL helps with the campus mission to better prepare our graduates to take on the dynamic and diverse world that is waiting for them. 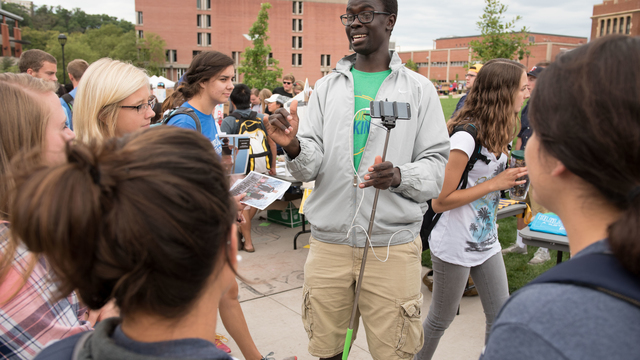 As a Blugold, you will find events and activities year-round to keep you busy. What those events and activities can also do is create diverse opportunities to meet new people, pursue your passions, and discover new interests as well. Blu’s Organizations Bash: At the start of each semester, the campus mall or 3rd floor of the student center transform into a sea of opportunity to get involved — see all the choices at once! Student orgs and clubs are represented and can answer your questions. The Forum + Artists Series: This signature campus series brings speakers and performers from around the world to campus for typically 8-10 events each academic year. From politics to pop culture, and modern dance to jazz, these shows help to create global citizens by exposing our students to arts, culture and subject matter experts from around the world. Campus films: Each year AIL presents a dozen or so films in our lovely campus location, the Woodland Theater. These film screenings offer multiple shows, free of charge, to students and community members. We even have popcorn! Volunteer Network: This AIL program matches interested student volunteers with local agencies and organizations in need of help. The program offers Blugolds a unique chance to explore career options, develop useful skills and give back to the community. With 90+ organizations in our volunteer directory, any student seeking to volunteer will find multiple places to put their time and efforts to good use. Leadership is an important value at UW-Eau Claire, and we encourage all students to explore their own interests and strengths as leaders both in and out of their classrooms. AIL provides many avenues for student leaders to grow. The fraternity and sorority experience at UWEC can be one of the most exciting and fulfilling experiences during your college career. 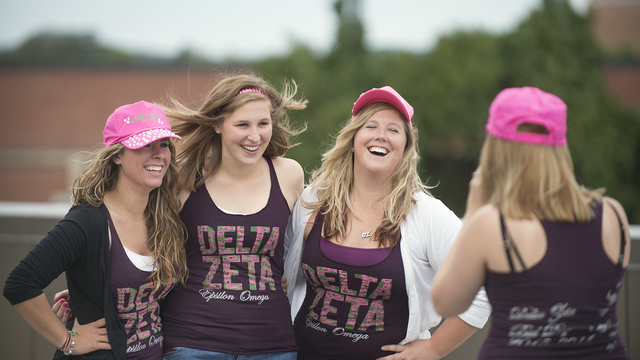 Greek life offers many opportunities for fun, friendship, personal growth and profession networking. As a designated commission under Student Senate, the UAC is an active group of students interested in taking a leadership role in selecting activities, concert, speakers and other events to take place on campus. And the best news is that it is open to ALL students, not just those on the senate. Join one of these committees and add your voice and interests to conversations shaping the great events that take place each year to entertain and engage Blugolds. These committees also offer students excellent experiences in marketing and promotion.